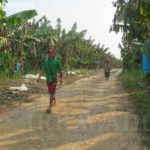 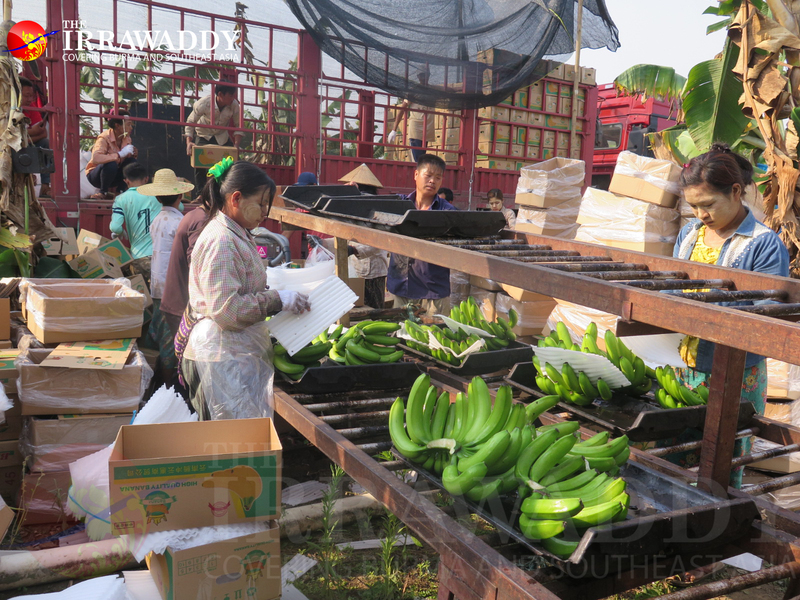 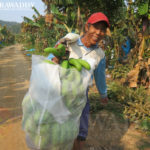 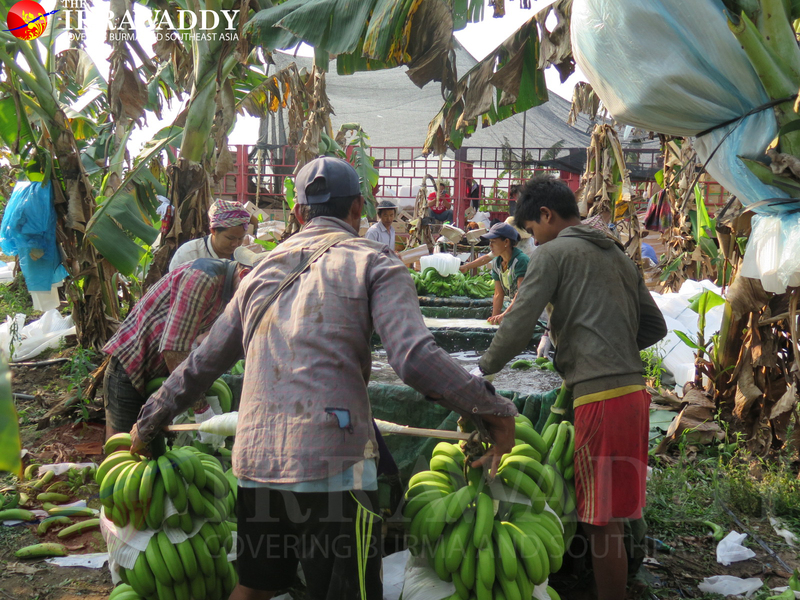 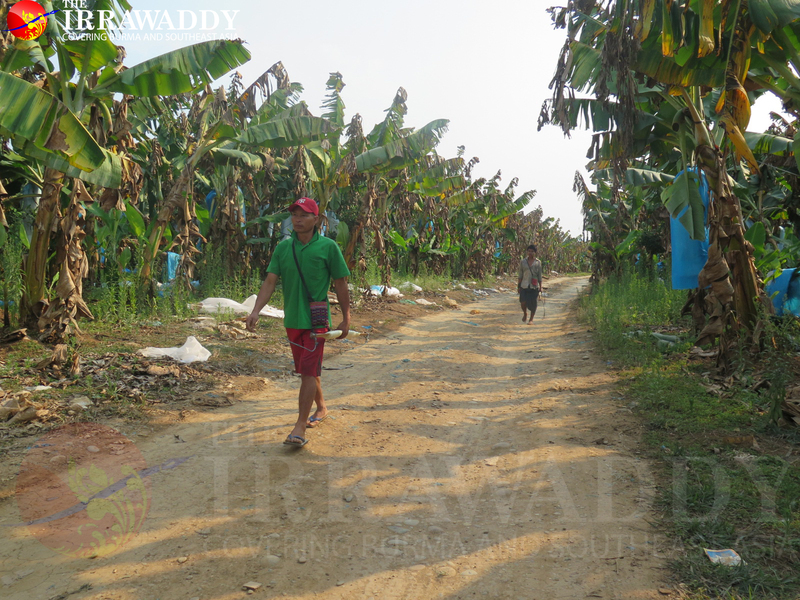 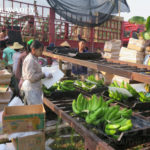 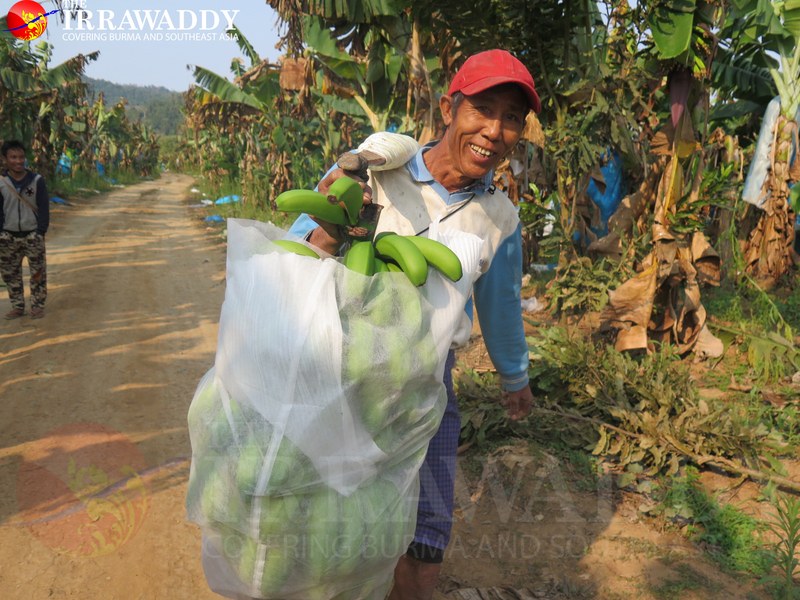 WAIMAW, Kachin State — This 500-acre banana plantation in Kachin State’s Lamyang Township normally comes to life at 7 each morning. 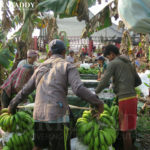 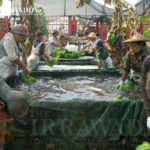 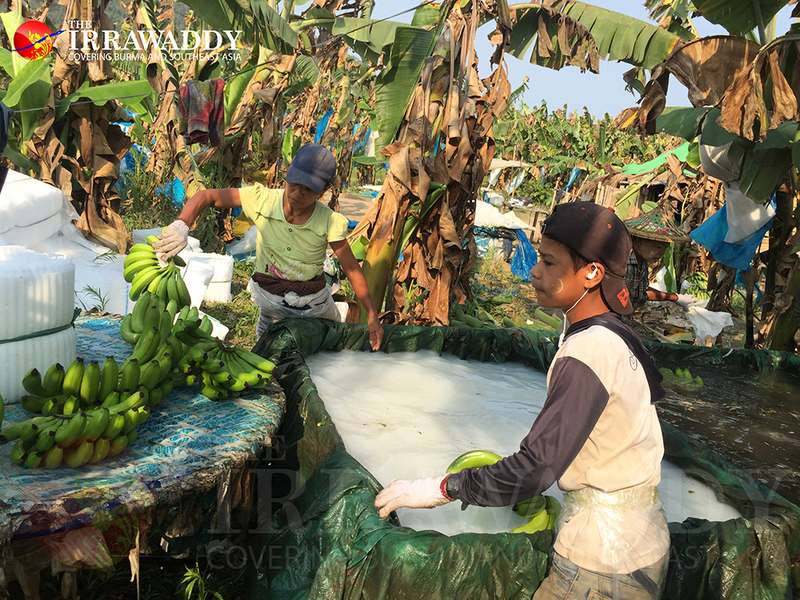 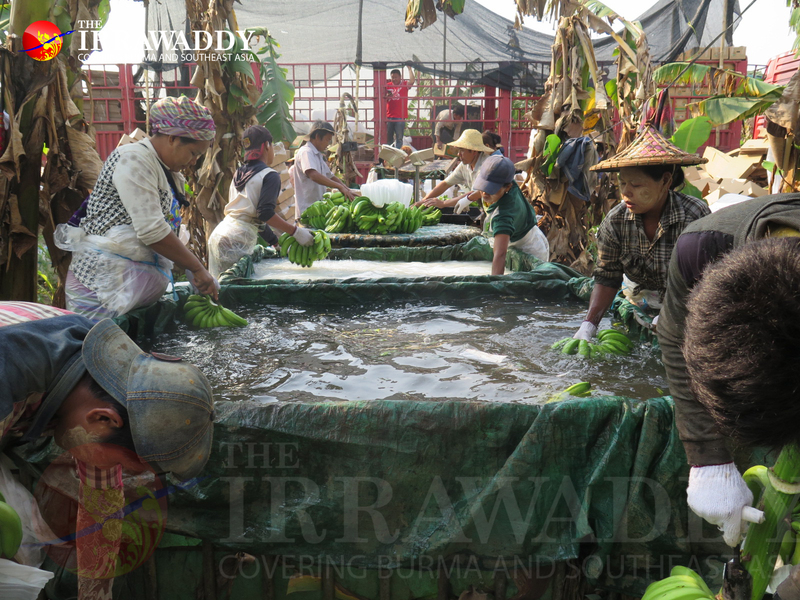 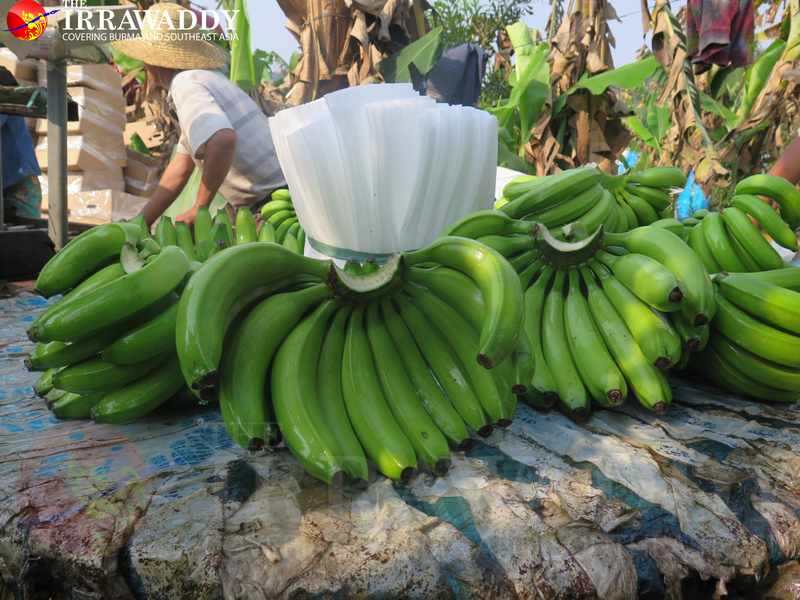 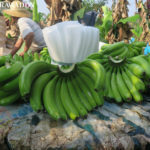 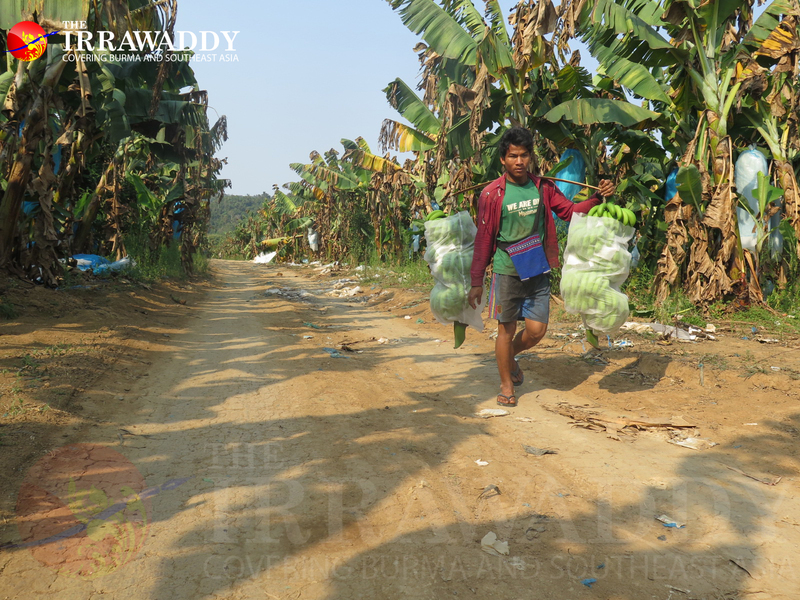 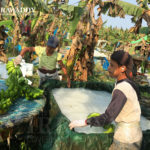 Workers, men and women alike, most from Rakhine State, carry freshly cut bunches of green bananas on yokes to processing area where the bananas are rinsed and then soaked in a tank filled with a white chemical solution. 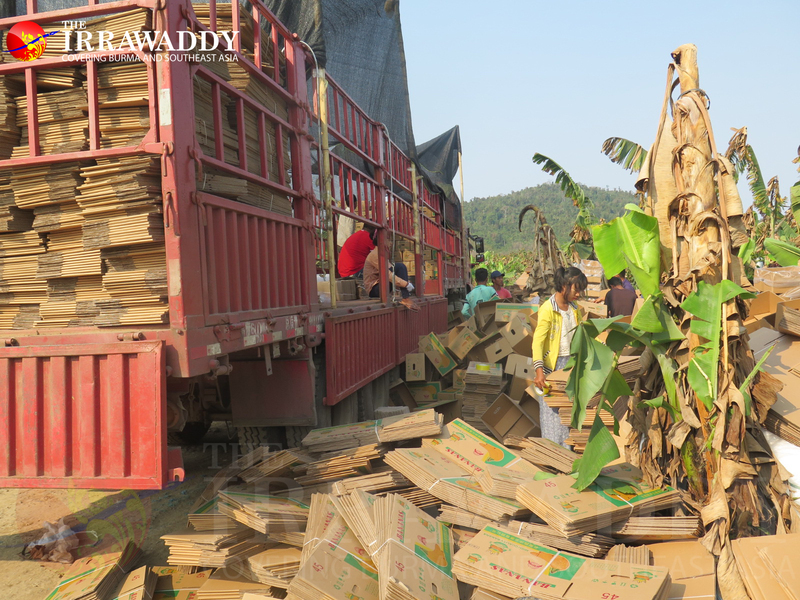 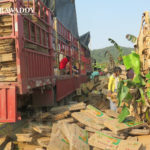 No one knows what the solution is, but they say “it is to make the fruits last long.” The bananas are then loaded — under the watchful eyes of Chinese supervisors — onto 12-wheeler trucks that will take them to their final destination: Yunnan Province in China.